I am sure that all of you wondered at least once when you didn't get a call from the recruiter even though you believe that you are a strong candidate for the applied position. You might be a strong candidate, but recruiter might have found some thing different while reviewing your profile. Here you go with probable reasons. Social media activities is a concern? On the contrary, a Microsoft funded research results shows that only few Job seekers are concerned about the online reputation. The data shows that just 11% are concerned about online reputation. At the same time 38% are not at all concerned and 27% is very little concerned. This shows that there is a huge gap between recruiters and job seekers. The Net Promoter Score (NPS) is a customer loyalty metric developed* by Fred Reichheld. Net Promoter is a management tool that can be used to measure the loyalty of a firm's customer relationships. Customers can be divided into three categories say Promoters, Passives, and Detractors. Promoters are loyal and enthusiastic customers who will keep buying and refer others, fueling growth. Passives are satisfied but unenthusiastic customers. This category of customers is vulnerable to competitive offerings. The score can be used to motivate an organization to become more focused on improving products and services for customers. It has been used by recognizable businesses like GE, Phillips, Procter & Gamble, and American Express, etc. Companies with the most efficient growth engines such as Amazon, Dell , Harley-Davidson, TD Bank, Charles Schwab, Costco, Zappos, Vanguard etc operate at NPS efficiency ratings of 50 percent to 80 percent. NPS emerged as a way to measure especially loyalty for online applications, as well as social game products. How to measure NPS ? The Net Promoter score can be assessed for company, brand, products and services. The score is calculated based upon one question by sorting respondents into Promoters (High), Neutrals (Middle) and Detractors (Low), then subtracting the percentage of respondents that are Detractors from the percentage that are Promoters. Additional questions to collect more feedback to analyse the NPS. 1. What can we do in the future to earn a score of 9 or 10? How to calculate NPS ? To calculate your NPS, take the percentage of customers who are Promoters and subtract the percentage who are Detractors. NPS can be as low as −100 (everybody is a detractor) or as high as +100 (everybody is a promoter). An NPS that is positive (i.e., higher than zero) is felt to be good, and an NPS of +50 is excellent. Companies with a better ratio of Promoters to Detractors help to grow more rapidly than their competitors. The successfully running will have an NPS of 50 to 80. A negative Net Promoter Scores, which means that they are creating more Detractors than Promoters, and this is the reason why these companies can’t deliver profitable, sustainable growth even though they spend aggressively to acquire new business. The Net-Promoter Score tracks how customers represent a company or product or service to their friends, associates, etc. This consumer representation is a kind free marketing that can highly influences your business growth. Know what your customers are saying to you and about you. Categorize comments and tag sentiments automatically to understand customer trends in real time and take immediate action. Segment customer feedbacks in meaningful ways by promoter/detractor, region, product, and more. Uncover the insights you need to make better strategic and tactical decisions to constantly improve the customer experience. Hence it is very important to Capture and act on customer feedback in real-time. Identify the customers or segments that are potentially at-risk, and channel issues to the respective groups/individuals for action. Analyse outcomes captured in customer responses to understand root causes and implement changes to build longer-term loyalty. How the Promoters are important? Promoters have longer, more profitable relationships with a company. Hence the retention rate is very high. Promoters are more interested in new offerings and brand extensions than detractors. Hence they purchases more rapidly. Promoters average order size is typically larger. They typically require less in sales, marketing and advertising costs. Promoters are often less price sensitive. Even then many loyal customers expect the best deal from you, others stay with you for reasons other than price. You should know which of your promoters are price sensitive and what impact that has on your financial performance. The combined shipments of PCs, tablets and mobile phones will reach 2.4 billion units in 2013. The predicted increase is 9% from the 2012. However Traditional PC Market Predicted to Decline 7.6 Percent in 2013 due to Change in Consumers' Behavior Now consumers are Transitioning to Tablets and smart phones. The lower-priced tablets and their growing capability is accelerating the shift from PCs to tablets. "As consumers shift their time away from their PC to tablets and smart phones, they will no longer see their PC as a device that they need to replace on a regular basis." 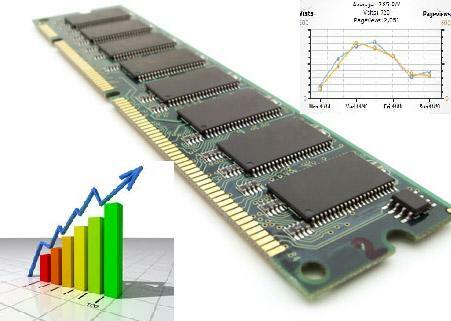 Hence, the traditional PC market of notebooks and desk-based units is expected to decline 7.6 percent in 2013. This is not a short term trend, but this is a long term change in the user behavior. The Device shipments are forecast to continue to grow, reaching more than 2.9 billion units in 2017. However the mix of devices will significantly change. 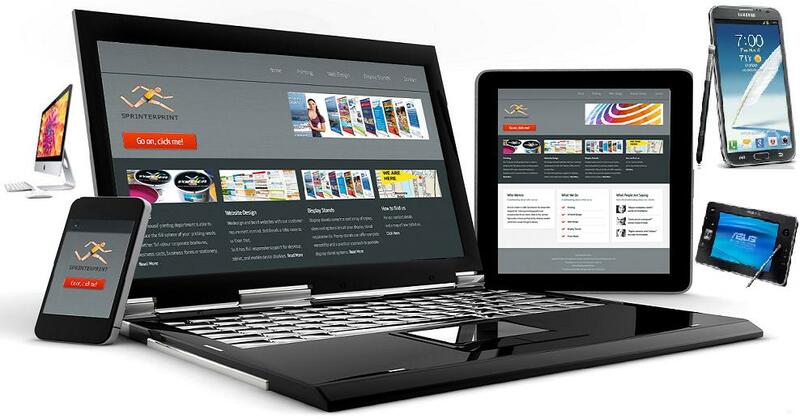 Gartner says that tablet shipments will likely to reach 197 million units in 2013. This is nearly 70% up from 116 million shipped in 2012. The key market drivers are Lower prices, cloud support, form factor variety, and consumers' addiction to apps. In emerging markets, users will increasingly choose a tablet as their first computing device, not a PC/notebook. 5. Infrastructure availability like communication, internet, transportation etc. Understand the countries and local political situation where the offshore provider is located. What kind of government does the country and the state have, and the frequency of power changing? You need to consider the nature of government like democratic, autocratic, military, socialist etc. In some countries the rebellions, revolutions, and coups are common which cannot create a favorable investing environment. The stability of neighboring countries and their relationship with candidate outsourcing will matter a lot. You have to analyse the candidate country's GDP and other economic indicators, and how those indicators have changed over the past several years. Consider whether foreign investment is increasing or decreasing in the country/region. Also you need to consider international trade treaties and pacts at which the country is part of?. Apart from that, the government policies and incentives towards the business domain have to be investigated. If the offshore provider is located in a country with significant instability and conflict, your project may proceed more slowly or come to a complete halt. You need to analysis the socio-economic stability not only at the country level, but also at the state or at the location level. Always advisable to choose the location where there isn't any ethnic/religious unrest and/or conflict at least in the past 20 years. You have to look for the impact in the economy/society due to any past religious instability. You must understand what ethnic and religious groups are present in the country and whether they are tolerant or intolerant of one another. You need to analyse and understand the candidate location in the context of the entire offshore service delivery industry which will help you to assess and define its current maturity level. It’s critical to measure the industry as it has developed over time, how it has progressed over the past 10 years, its current state, and its likely future state. In some countries, such as China, India, domestic sourcing is growing rapidly in some delivery locations that were considered “offshore,” further adding to the maturity and complexity consideration of your location decision. Always a good idea on which all other leading industries/companies are already selected the candidate location or likely to select the location. The availability of the talent pool in a specific country and location will determine the scalability of your sourcing operation over time. 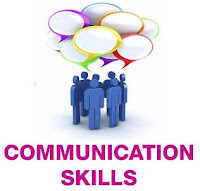 You should be familiar with the workers' professional experience, education, and technical expertise. Also, make sure that there are enough workers available to work on your projects, so that your work won't be slowed by labor bottlenecks. In a nutshell Deep insight into the suitability of offshore service delivery potential, the level of training required, and the demand-supply balance in terms of density of offshore employment will help you make the best decision. 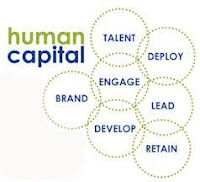 Educational output and attrition rate are the other factors to be considered while analyzing human capital. You need a robust, secure, scalable Infrastructure for your reliable and dependable service delivery. You have to determine the state of the current physical and technology/telecom infrastructure, the historic level of investment in infrastructure and a realistic sense of projected investments. These are very vital to your final destination decision. Also you need to check the connectivity/transportation between your location and the candidate location. When you outsource work, you'll be exchanging proprietary information and dealing with intellectual property. You need to know what policies and legal protections the country/stage has in place to protect your confidential information and intellectual property rights. You must be able to communicate with the offshore service provider – not only with the top managers, but also with the workers who are involved in the day today transactions. This includes both written and oral communications. Cost Cost saving is one of the obvious reason why organization outsourcing in the current economic scenarios. In establishing the business case for your location selection, take into account the delivery cost per full time equivalent (FTE) or per transaction. Wherever you ultimately elect to go, you don’t want to revisit that decision in the near future. 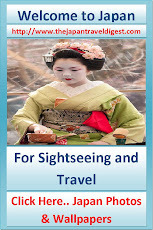 It’s important to know the pricing structure and the range of pricing in the selected countries/locations. You have to know exactly what that price includes. Costs for labor and overhead are both important components of the total price. Equally you should consider how much overhead you will incur in managing the outsourced work in order to calculate the total cost of the outsourced service. 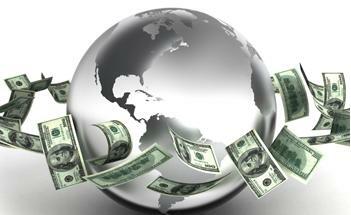 Cost saving is one of the obvious reason why organization outsourcing in the current economic scenarios. In establishing the business case for your location selection, take into account the delivery cost per full time equivalent (FTE) or per transaction. Wherever you ultimately elect to go, you don’t want to revisit that decision in the near future. It’s important to know the pricing structure and the range of pricing in the selected countries/locations. You have to know exactly what that price includes. Costs for labour and overhead are both important components of the total price. Equally you should consider how much overhead you will incur in managing the outsourced work in order to calculate the total cost of the outsourced service. Windows 8, which launched on 26 October 2012, has struggled to gain traction, many experts are calling it a failure. Windows 8 failed to trigger a boost in PC sales as new editions have done in the past. 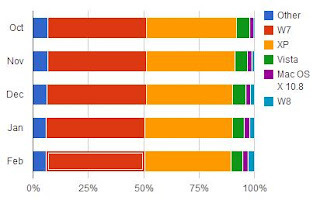 Four months after it was released, Windows 8 has grabbed just around 2.6% of global market share for PCs, however at the same period Windows 7 picked up 9.1% market share. 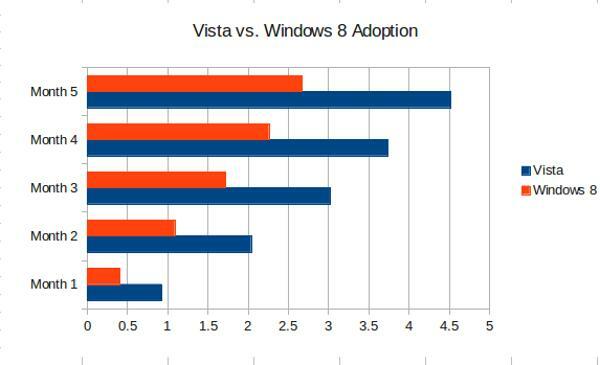 Windows Vista, which was categorically declared a failure globally, had better adoption numbers than Microsoft's latest offering. According to a ZDNet report, Vista had a desktop share of 4.52 per cent while Windows 8 could gather only 2.67 per cent share in the same time period. The Redmond software giant was sort of sure that it will be able to silence its critics with the introduction of Windows 8 and PC owners will immediately go for the upgrade as soon as it is available in the market. But its adoption has been very slow and the individuals and businesses haven’t gone down to upgrade to Windows 8 from the predecessors that have been using for past years. Microsoft has apparently blamed OEMs for the poor sales of Windows 8 sitting they are not building enough Windows 8-powered touch screen devices. Gartner recently stated that during the Q4 of 2012, Windows 8 failed to instill a "significant impact" on PC shipments. research firm IDC said global PC sales would contract 1.3% this year, a drop atop 2012's even-larger slump of 3.7%. Research firm International Data Corporation (IDC) cited an "underwhelming reception" to Windows 8 as one of several factors that will lead to a second-consecutive year of declining PC sales. 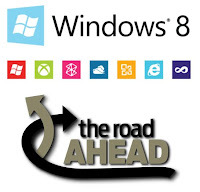 Microsoft’s Windows 8 software appears to be driving buyers away from PCs and toward smartphones and tablets, research firm IDC said on Wednesday, 10th April 2013. Global shipments of PCs fell 14% in the first three months this year, IDC said. Consumers, especially in developed countries like the U.S., are shifting toward tablets and smartphones rather than upgrading their home PCs. 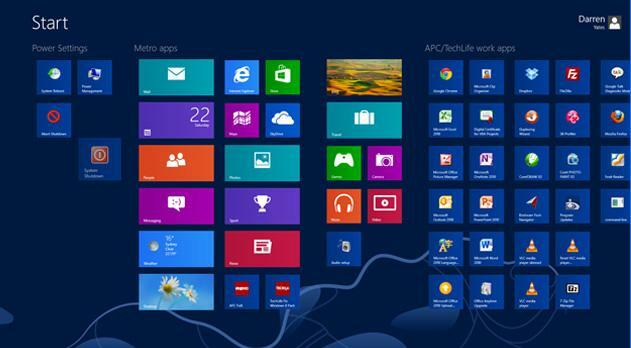 Microsoft Windows 8 has a completely new look and forces users to learn new ways to control their machines. The Windows 8 is designed to work well with touch-sensitive screens, but the displays add to the cost of a PC. Together, the changes and higher prices “have made PCs a less attractive alternative to dedicated tablets and other competitive device. Hewlett-Packard Co., the world’s largest maker of PCs, saw a 24% drop in shipments in the first quarter compared with the same period a year ago. The industry’s No. 2, China’s Lenovo Group, is benefiting from sales to first-time buyers in China and other developing countries. Wall Street Journal and DigiTimes reported that Microsoft has cut prices of Windows 8 and Office 2013 in an attempt to spark sales. Discounts on Windows 8 could result in lower-priced touchscreen PC and tablets, by early as this summer. 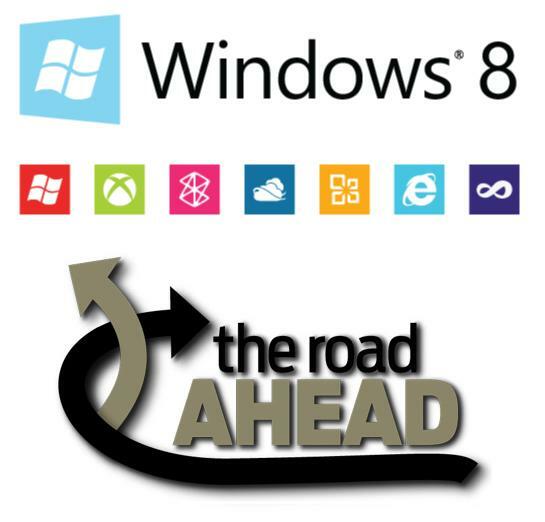 The confusion about the Windows 8 is so high that many businesses have started believing that it is not good for them. It can be more ideal for normal consumers rather than enterprises. Lots of businesses have turned down the new OS and many of those, who consumed it, have downgraded their PCs. For the normal consumers, things like the lack of a start button and complexity in finding regular apps and software are a few among the reasons that have forced users to reject Windows 8. Many users have reportedly downgraded their new PCs to Windows 7 as they don’t like the software and its interface. Handing a Surface RT tablet to someone unfamiliar with how it works is like asking them to run a nuclear power plant. For example, users find it difficult to close an application especially when it is a necessary step for conserving RAM and cleaning up the desktop. Many users even couldn't figure out how to restart the computer either. (You have to swipe from the right and access the Settings menu, then select power, then restart.). Users cannot perform admin duties unless the admin tool got enabled first. Just asking someone to change his login password is a good 5-minute exercise in futility. Main factors which hamper Windows 8 adoption is detailed below. Windows 8 support desktops, tablet and smartphones. the experience in all these devises are same. Windows 8 is just an addition to the already clogged mobile and tablet market which adopted the innovative user interface frame work already. As same OS coexist in all three kinds of devices, users got confused with which one to buy and this impacted the adoption. We saw this happen before with Vista and XP, Vista was not better than the old operating system XP, so very few people moved to it. We're seeing it again now. Nobody really wants to move from tried-and-true Windows 7 or windows XP to new, expensive Windows 8 PCs. As the $500 to $1200 price tags slapped on Windows 8 hardware makes it "uncompetitive" in a world where people want iPads and Android tablets. Developers wouldn't like throwing out .NET, Windows Communication Foundation (WCF) and Windows Presentation Foundation (WPF) expertise to work on Windows 8. This slow pick up more relevant when business users are reluctant to adopt windows 8 as their business PCs. Due to this the enterprise and engineering applications are still running in the Legacy platforms. Windows 8 brought nothing innovative to the desktop world. Windows 8 is faster than Windows 7, but that's about it. most of the features are already their in the gadget market through apple and android and Windows just followed it. Microsoft basically re-branded itself with a tile interface it borrowed from its own Zune player and Xbox 360 console. Now, the tile interface is everywhere: in the Windows phone, every new desktop and laptop, and the Surface tablet. The same is already in users hand through gadgets like android. However, the much hyped tile based metro UI is an unfit to the desktop users. It requires users to forget everything they ever learned about Windows and learn an entirely new way of doing things for no real reason. For the normal users, there are too many tiles on the screen which doesn't make sense. For example, when a user click on the Skype tile, that takes the user to the windows store. When user downloaded the app, it appeared in a different location off to the far right, like lost in a sea of tiles. The tiles work well for tablets, but not on a laptop or desktop using a mouse, even when many laptops have a touchscreen these days. The App store opened a totally new world for the desk top and note book users. Now the question is, how far the Appstore is useful for a normal user or a home user or a business user in a desktop environment. Answer is no atleast for the time being. window store adoption will be very slow for the desktop users. 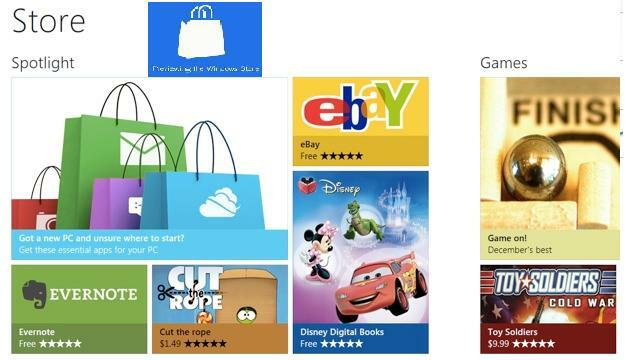 The second question is how many useful application are there in windows store and how easy to search it. there were 5000 apps available worldwide on October 26, to 20,000 available one month after launch, to 39,153 apps available as of January 23. Both the overall quantity and quality of apps available in the Windows Store disappoint when compared to competing mobile ecosystems. Many notable big-name apps are still missing. A report on NBCNews rightly sums up that “There’s still plenty of time for Microsoft’s OS to find it’s stride, but it’s safe to say that Windows 8 isn't the sales-generating behemoth Windows 7 was. This is probably due to a mix of the new-look interface and overall sluggishness in the traditional PC market. We’ll have to wait for some more time and see its adoption rate to make a fine conclusion as many OEMs are picking up the tablet and mobile markets. To be true, Windows 8 doesn't bring anything substantially improved than its previous version and so Windows 7 will continue to rule the market. Both Gartner and IDC expect at least 350 million PCs to ship this year, and the overwhelming majority of those will ship with Windows 8 installed. Windows 8 still has breathing room, It is faster and better than Windows 7 under the hood, and many of the decelerators could easily be improved with some minor tweaks. The Windows Store will only get better as time goes on. Many of the usability concerns could be squashed by releasing an update. 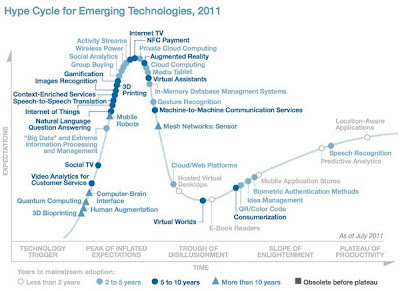 Gartner highlighted the top 10 technologies and trends that will be strategic for most organizations in 2013. Gartner defines a strategic technology as one with the potential for significant impact on the enterprise in the next three years. A strategic technology may be an existing technology that has matured and/or become suitable for a wider range of uses or it can be an emerging technology that offers an opportunity for strategic business advantage for early adopters or with potential for significant market disruption in the next five years. 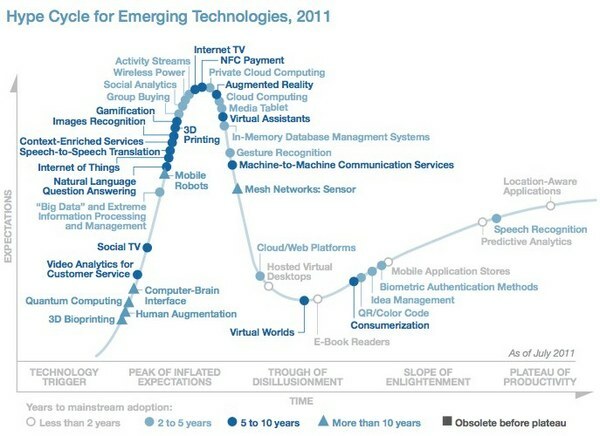 Not surprisingly, the trends as revolving around the four converging forces say social, mobile, cloud and information. These forces together revolutionize business and society, disrupting old business models and creating new leaders. Gartner predicts that mobile phones will overtake PCs as the most common Web access device by 2013. Over 80 percent of the handsets sold in mature markets will be smart phone by 2015. Also tablet shipment will reach 50 percent of the laptop shipments by 2015. These trends clearly indicate the world will be connected many fold by 2015 and the data traffic will be very high which will promises high business growth for the organizations who invested in it. Windows 8 will likely replace Research In Motion(RIM) platform by 2015 and will be in 3rd position after IOS and Android. Enterprises will need to support a greater variety of form factors reducing the ability to standardize PC and tablet hardware. The implications for IT is that the era of PC dominance with Windows as the single platform will be replaced with a post-PC era where Windows is just one of a variety of environments IT will need to support. Currently we have over 100 potential tools venders to create consumer and enterprise facing applications. For the next few years, enterprises cannot dependent on any single tool to support. The Six mobile architectures – native, special, hybrid, HTML 5, Message and No Client will remain popular independent of platforms. As HTML5 become more capable and popular, there will be a long term shift away from native apps to Web apps. The browser will remains as a mainstream application developer environment. However the native applications won’t disappear and it will always provide the best user experience and most sophisticated features. The enterprises and architects have to develop new design skills to support optimized mobile applications that operate a range of devices and platforms. As end users are more shifting towards mobile based connectivity and access anywhere become a daily necessity, the personal cloud will gradually replace the PC as the location where individuals center their digital lives. 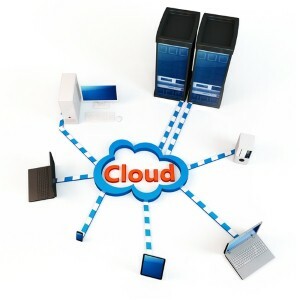 The personal cloud will entail the unique collection of services, Web destinations and connectivity that will become the home of their computing and communication activities. In this world no one platform, form factor, technology or vendor will dominate. The personal cloud shifts the organization focus from the client device to cloud-based services delivered across devices. 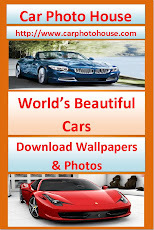 There will be more than 70 billion mobile application downloads from app stores every year. By 2014 By 2014. The Apple store development size itself is estimated to $10billion in 2012 and it is going at a pace of double. The app store future is very complex as some venders limit their stores to specific devices and types of apps. This forces enterprises to deal with multiple stores, payment process and licensing terms. By 2014, most organizations will deliver mobile applications to workers through private application stores. With enterprise app stores the role of IT shifts from that of a centralized planner to a market manager providing governance and brokerage services to users and potentially an ecosystem to support application entrepreneurs. It is estimated that Over 50% of Internet connections are things. In 2011, over 15 billion things on the Web, with 50 billion+ intermittent connections. By 2020, over 30 billion connected things, with over 200 billion with intermittent connections. The Internet of Things (IoT) is a concept that describes how the Internet will expand as physical items such as consumer devices and physical assets are connected to the Internet. Key elements of the IoT which are being embedded in a variety of mobile devices include embedded sensors, image recognition technologies and NFC payment. Mobile no longer refers only to use of cellular handsets or tablets. Cellular technology is being embedded in many new types of devices including pharmaceutical containers and automobiles. Smartphones and other intelligent communicate via NFC, Bluetooth, LE and Wi-Fi to a wide range of devices and peripherals, such as wristwatch displays, healthcare sensors, smart posters, and home entertainment systems. The IoT will enable a wide range of new applications and services while raising many new challenges. The trend will enable a wide range of new applications and services for the entrepreneurs. By 2015, in more than 70% of enterprises, a single exec will oversee all Internet connected things. Becomes the Internet of Everything. Hybrid IT and cloud computing we have been talking about in one way or another for about four years, but we continue to see evolution that makes it ever more important for enterprise to develop a strategic approach to it. IT departments must play multiple roles in coordinating IT-related activities, and cloud computing is now pushing that change to another level. A recently conducted Gartner IT services survey revealed that the internal cloud services brokerage (CSB) role is emerging as IT organizations realize that, they have a responsibility to help improve the provisioning and consumption of cloud services for their internal users and external business partners. The internal CSB role represents a means for the IT organization to retain and build influence inside its organization and to become a value center in the face of challenging new requirements. Dealing with data volume, variety, velocity and complexity is forcing changes to many traditional approaches. The concept of a single enterprise data warehouse containing all information needed for decisions is over. 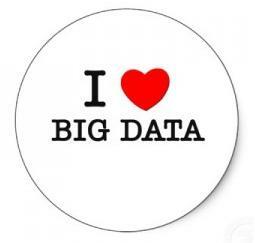 The key thing here is companies moving beyond single, big data projects. Multiple systems, including content management, data warehouses, data marts and specialized file systems tied together with data services and metadata, will become the "logical" enterprise data warehouse. We have reached the point in the improvement of performance and costs that we can afford to perform analytics and simulation for each and every action taken in the business. 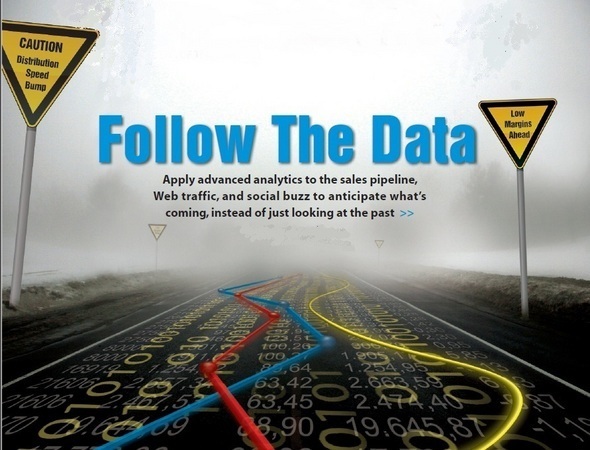 Analytics is increasingly delivered to users at the point of action and in context. Apart from data center applications, mobile devices will have access to data and analytic engine, which will have enough capability to perform analytics themselves, potentially enabling use of optimization and simulation everywhere and every time. This new step provides simulation, prediction, optimization and other analytics to empower even more decision flexibility at the time and place of every business process action. In memory computing (IMC), Millions of events can be scanned in a matter of a few tens of millisecond to detect correlations and patterns pointing at emerging opportunities and threats "as things happen". The execution of certain-types of hours-long batch processes can be squeezed into minutes or even seconds allowing these processes to be provided in the form of real-time or near real-time services that can be delivered to internal or external users in the form of cloud services. Many enterprises will deliver in-memory-based solutions over the next two years driving this approach into mainstream use. This trend is driven by the user desire for lower cost, simplicity, and more assured security. The market is shifting away from loosely coupled heterogeneous approaches to more integrated systems and ecosystems. Driving the trend for vendors the ability to have more control of the solution stack and obtain greater margin in the sale as well as offer a complete solution stack in a controlled environment, but without the need to provide any actual hardware. The trend is manifested in three levels. Appliances combine hardware and software and software and services are packaged to address and infrastructure or application workload. Cloud-based marketplaces and brokerages facilitate purchase, consumption and/or use of capabilities from multiple vendors and may provide a foundation for ISV development and application runtime. In the mobile world, vendors including Apple, Google and Microsoft drive varying degrees of control across and end-to-end ecosystem.